Despite talks and debates of SEO being outdated and no longer useful, it is still relevant and can be synchronized with social media for attaining desired results. The increasing inclusion of social media within search engine results reveals the importance of social media in influencing decision making. Also, this implies search engines too, concede to the fact that social media is crucial. 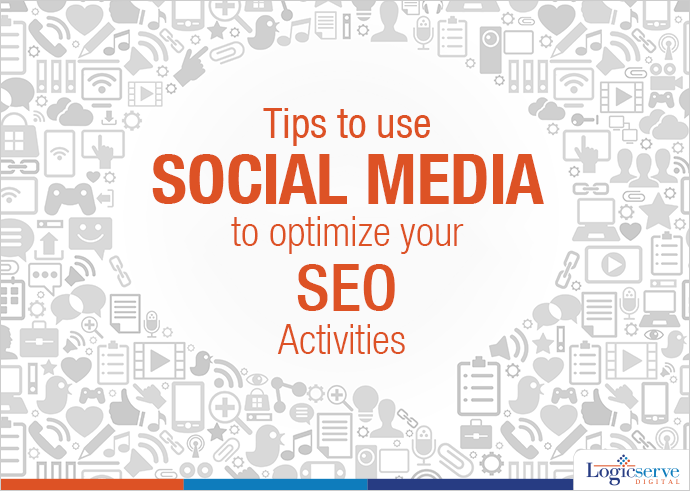 For higher visibility in search engines, it becomes inevitable to infuse social media within the framework of your SEO strategy and enjoy viable traction. Today, SEO has evolved beyond keywords and link building while steering well optimized content across a diffused based of viewers across diverse platforms. SEO Perspective – Even today, content is the king, be it SEO friendly website content or posts uploaded across social media channels. Remember, the content should have a high ‘instant connect’ factor. Of course, it should be reader friendly and as relevant as possible. Social Media Perspective – Valuable content can be and has to be shared. Your website should have in place social media share buttons for Google+, Pinterest, Linkedin, Twitter and even Facebook enabling readers to click on them and share the content they found useful with others. Also, remember your focus should be on the number of ‘shares’ and ‘retweets’ rather than on ‘likes’ garnered. To put it simply, social media has taken the place of word of mouth marketing which was quite prevalent before the ecommerce era. For more tips on how to increase content related shares and retweets, you can check the following post (please add our post) 6 Ways to Create Content Your Readers Will Share. Social Media Perspective – Make sure the images/videos you upload are not only informative, relevant but even practical in approach. They should be capable of generating interest and encourage shares amongst viewers. It makes sense to be proactive and share them across multiple image and video sharing sites such as Instagram, Flickr, Pinterest, TwitPic and so on. Also, remember to upload images/videos in formats which are compatible across multiple devices. Finally, it makes sense to keep the end user in mind when finalizing the images or videos, after all they are the ones who will be viewing. To be on the safe side, use creative images and videos but avoid highly abstract ones which are likely to be misconceived by the viewers. SEO Perspective – Each one of us knows Google’s (major search engine) affinity towards quality content. It is advisable to set up your authorship profile complete with the required information especially real name and a high quality image of yourself. This goes a long way in building up trust and authenticity of the writer. Also in instances of the writer contributing to the sites it does relate to authority, expertise while boosting up the visibility of not only the writer but the other sites too. Social Media Perspective – Expertise, experience and your image matters on the online platform as well. Your interaction with viewers on your website and social media channels – customers, old and new and even occasional visitors should create lasting impression. It pays to be helpful, cooperative and guide them to make suitable decision in relation to their queries or when resolving their issues. In a way, they should feel they are on the right track and guided by experts in the area of interest. Moving on the crux of the matter – Accountability – Yes, you need to measure and quantify your efforts to ascertain its impact and effectiveness. And that is possible by using the Google Analytics dashboard. Just login with your account details and get hold of varied data which you can further analyze to improvise your social media performance. Useful data insights such as which social media channel works best for you, device based viewership analytics, newsletter signups and much more. When working on accountability what matters is how much attention you pay to your data and how well you are able to analyze it. Going forward, the blend of SEO and social media is very much inevitable. Their synthesized and cohesive approach can go a long way in promoting and creating a lasting impression in the viewers’ mind relating to your brand presence, products and services.